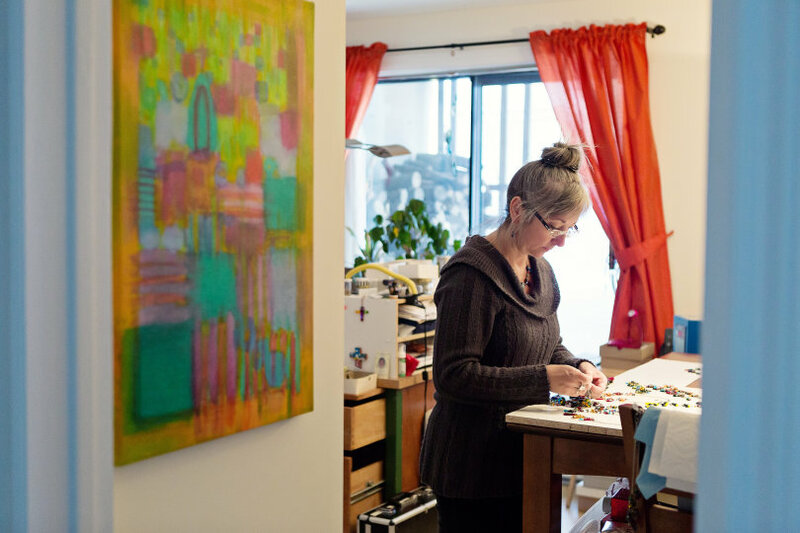 Chantal Laparé has a bachelor’s degree in fine arts from the University of Quebec in Montreal (UQAM). 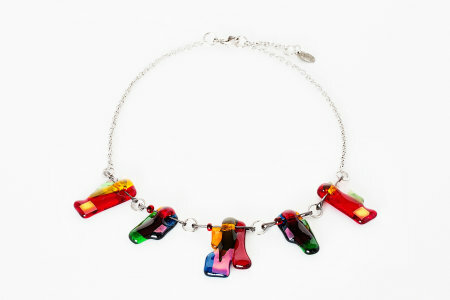 She is a professional member of the art council and specializes in glass. 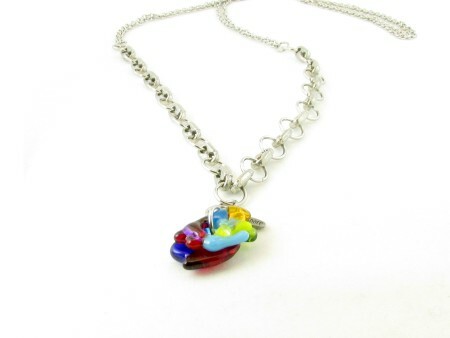 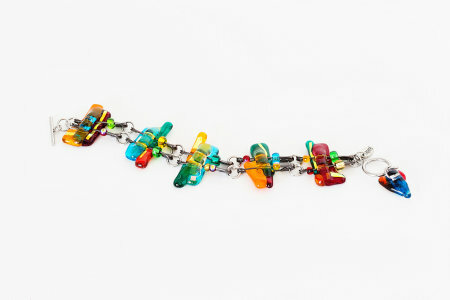 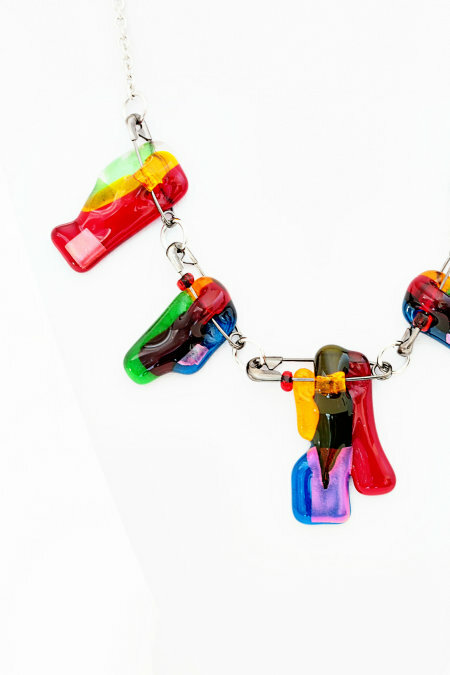 She creates jewelry with glass fusion and incorporates safety pins in her designs which create a unique structure. 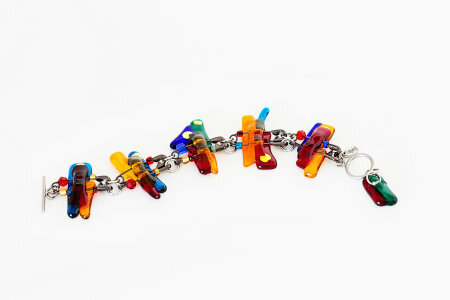 She trusts her imagination to harmonize different colors of glass. 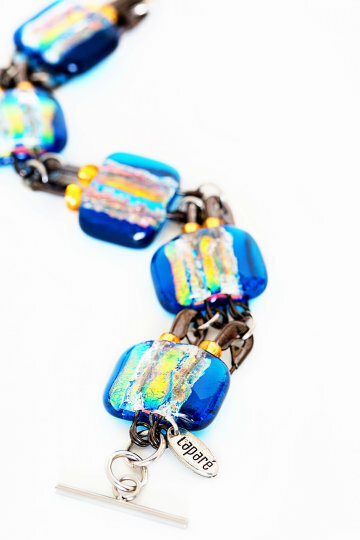 She also uses dichroic paper to create brilliance and from time to time she paints textures on the glass. 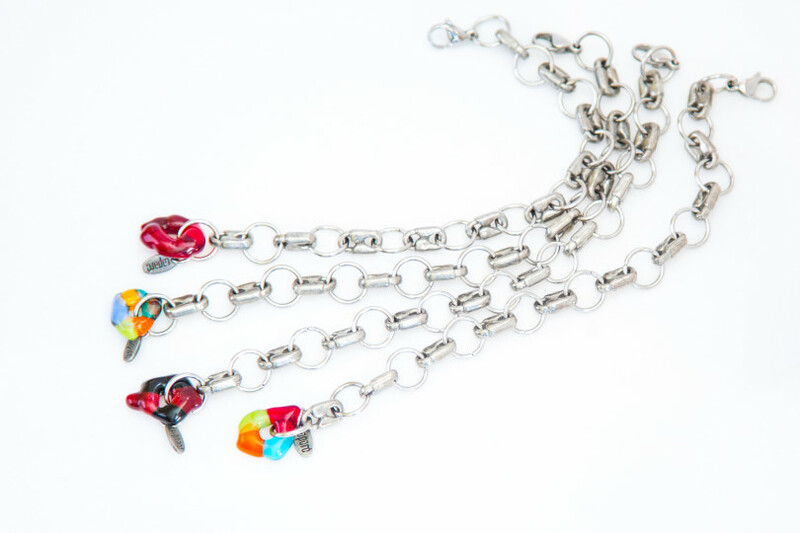 An intuitive blend of childhood and maturity is expressed in her jewelry through a good choice of textures and bold colors.